"A masterpiece. "―Richard Eder, The New York Times. 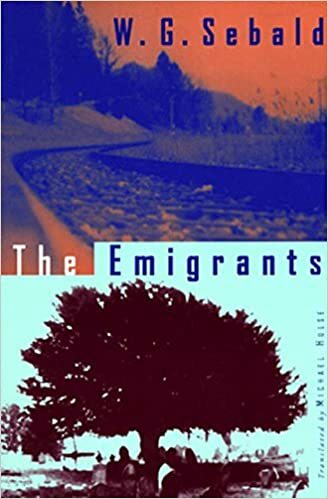 Published to enormous critical acclaim in the US, The Emigrants has been acclaimed as "one of the best novels to appear since World War II" (Review of Contemporary Fiction) and three times chosen as the 1996 International Book of the Year. The poignant and acclaimed novel about the beauty of lost things, while the protagonist traces the lives of four elderly German/Jewish exiles. The Emigrants is composed of four long narratives which at first appear to be the straightforward accounts of the lives of several Jewish exiles in England, Austria, and America. The narrator literally follows their footsteps, studding each story with photographs and creating the impression that the reader is poring over a family album. But gradually, Sebald's prose, which combines documentary description with almost hallucinatory fiction, exerts a new magic, and the four stories merge into one. Illustrated throughout with enigmatic photographs.